Last year, I wrote here about the importance of strong functions in government. Functions are part of the glue that binds government together - providing expertise where it is needed, when it is needed. A year ago, I said we had to build on what we had in place, developing the functions in ten core areas, while we create career paths that will provide the breadth of experience and depth of expertise we need in the Civil Service. Things have moved on since then. All government functions, including those organised into professions, are at different stages on this journey to providing the fully effective expert resource that’s required – and I want to look at the example set by just one of them. 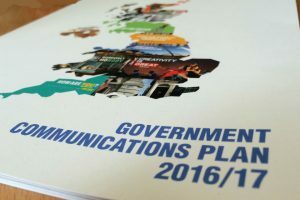 Last month, Minister for the Cabinet Office Matthew Hancock launched the Government Communications Plan for 2016/17. The plan sets out how the comms profession (the Government Communication Service - GCS) will deliver effective communications that support the Government’s priorities. Introducing the plan, the minister praised the work of GCS members and called on government communicators to continue to focus on "finding out what really works - experimenting, measuring impact and continuously improving what we do”. 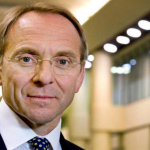 The communications function is one of the areas of expertise that I consider essential to delivering government policy and public services - others include Technology, Commercial, Corporate Finance, Digital, Finance, HR, Internal Audit, Legal, Major Project Delivery and Property. All the functions are in the process of developing their own functional plans, which we hope to complete over the coming months. They will outline how the function assists in the delivery of Government policy; how career paths are being built, and expertise and qualifications gained to progress. And they will also outline the standards that will ensure world-class delivery across government. These plans will not be identical, but they are built on the same principles, and I will update you on progress later this year.